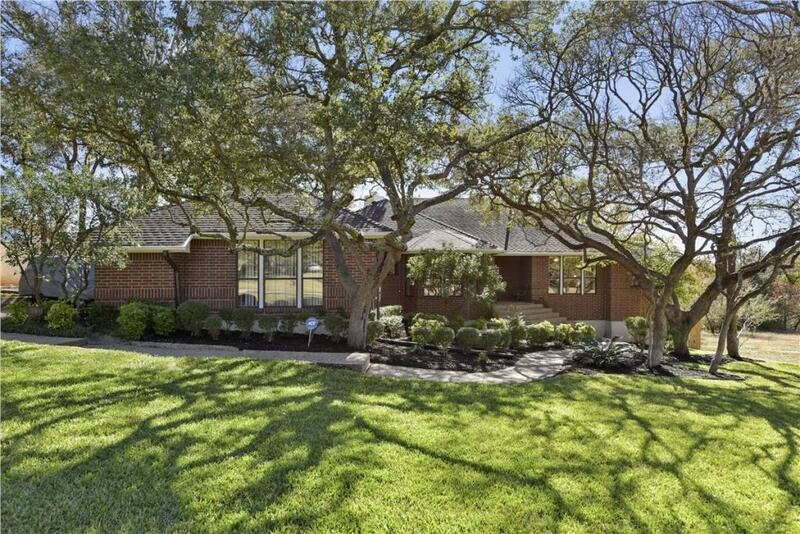 Privacy assured on this beautifully landscaped wooded lot in the prestigious Barton Creek neighborhood. Impressive steps lead up to the large southern style front porch that begs you to come sit awhile. Every window in this home brings the beauty of nature inside. 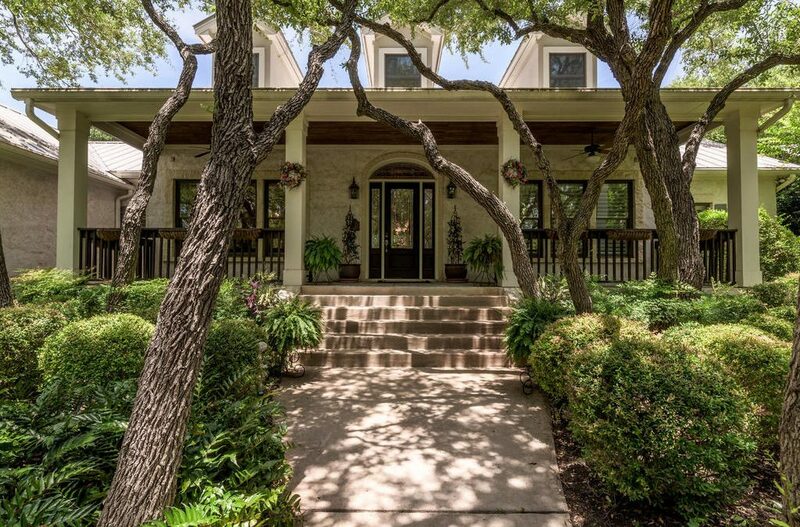 Acacia wood floors, crown moulding, plantation shutters, climate controlled wine closet, sport court and more. Upstairs game room, large bedrooms, ensuite bathrooms & walk in closets. 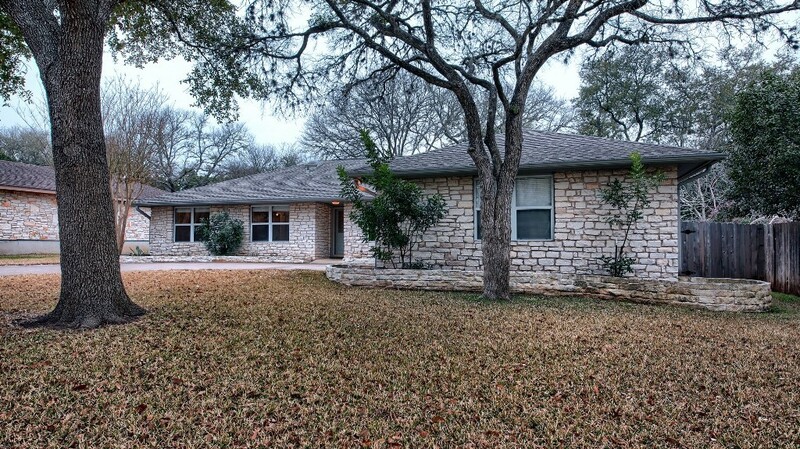 Exterior has just been painted & this home sparkles with curb appeal. Open floorplan makes the kitchen the center of the home, 2 microwave ovens, built in convection oven & cook top will delight the cook. Covered side patio+recently stained backyard deck encourages the party to move outside! GC amenities are tops, GC house for gatherings, 75 ft pool, splash pad, picnic, playground & basketball court. Walk right in to this sleek,light,open floor plan. The great room with its high vaulted beamed ceiling is the heart of the home. Hard tile & classic wood floors throughout NO carpeting anywhere! Kitchen boasts the timeless beauty of Viatera quartz countertops, subway tile backsplash, SS appliances & glass front cabinets showcase your favorite dishes. 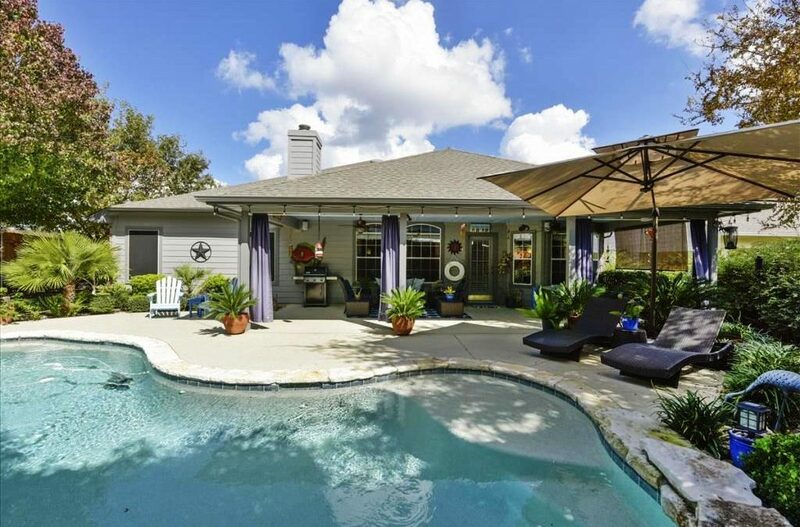 Private treed backyard perfect for entertaining friends&family, grill out on the large covered deck & make a splash in this cool sparkling in ground pool. 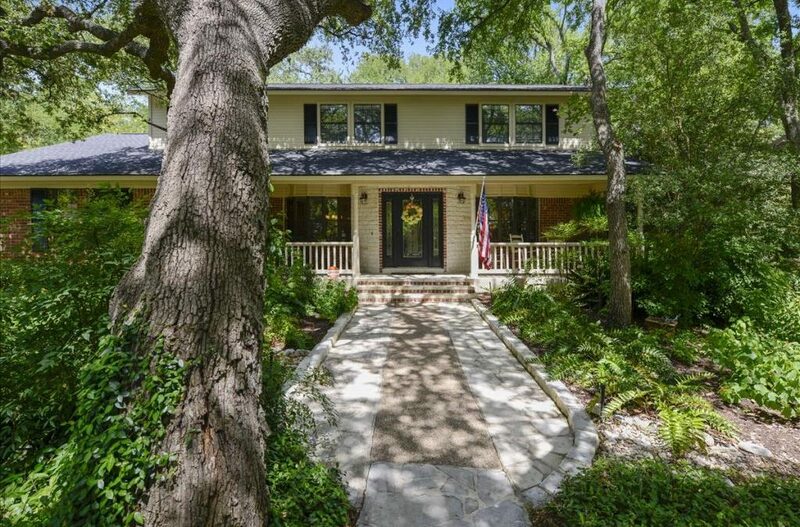 Beautiful curb appeal and one of the nicest lots in Shady Hollow, backs up to wooded green space, covered patio overlooks private park like backyard with miles of hiking trails right behind home. 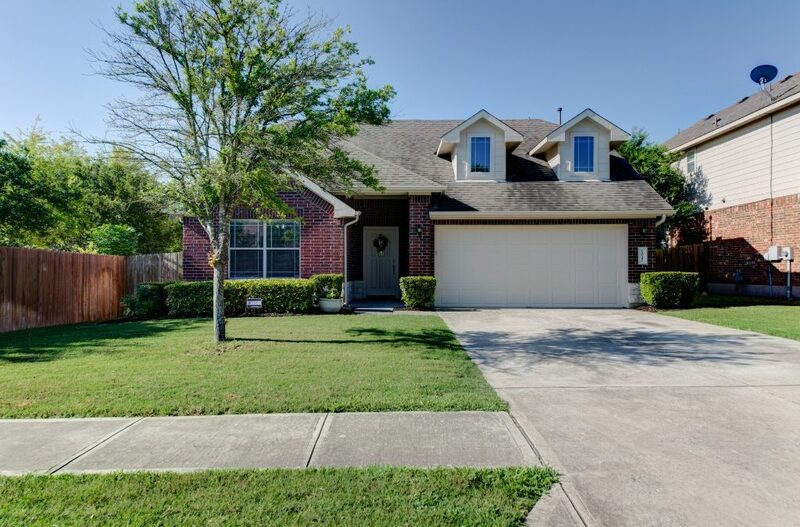 Spacious kitchen with plenty of natural light is chef’s delight, double ovens, beautiful Silestone counters, center island complete with hanging pot rack, interior freshly painted, new carpet 2017, Community Center, park, playground, tennis courts down the street, 24 hour notice for showing please pets at home.